nu-salt laser light shows international *NOT DISPLAYED* "A Seasoning for your Eyes" Nu-salt Laser Light Shows International is a multi-faceted laser light show company with its core activities in research and development, show production and custom installations for a wide array of industries including film, large scale event productions, corporate theater, concerts and tours, outdoor spectaculars, and night clubs. Our home bases are in Northern California and Southern California, and we have the capability of serving all of North America as well as the rest of the world. Our laser productions and installations are some of the best world-wide, and as we celebrate our 14th anniversary, we welcome the opportunity to develop new relationships and deliver the most ingenious, cutting-edge entertainment. A strong technical team of optical, IT and fabrication experts enables Nu-salt Laser to invent, develop and actually build new products according to the highest international standards in the best tradition of technical craftsmanship. 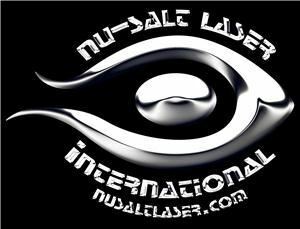 In the world of laser animation, laser advertising and laser events, Nu-salt Laser developed products adhere to the strictest safety standards (FDA, CDRH) while upholding unmatched performance parameters and user-friendliness alike.